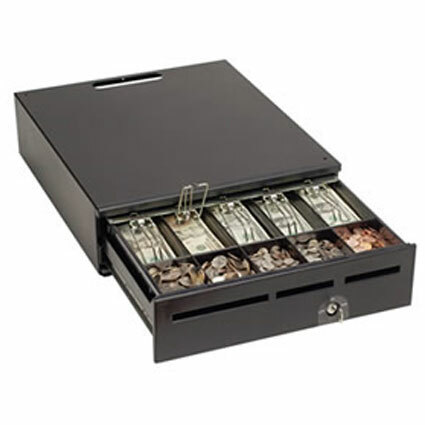 The MMF MediaPLUS cash drawer can give any retailer a secure way to store vital documents during business hours. The 250 cubic inch storage capacity makes the MediaPLUS one of the most spacious of its size, able to more receipts, documents, and other media than the competition. 3 media slots on the front of the drawer give access to separate and adjustable compartments under the till, preventing documents from getting mixed in with other important files or large bills. 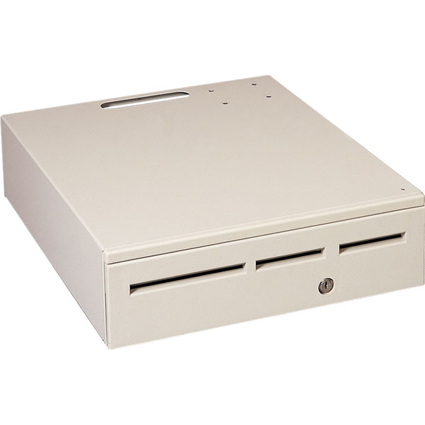 Available in 3 convenient sizes and your choice of printer driven, serial, or USB interfaces, the MMF MediaPLUS cash drawer can fit into virtually any location. Under counter mounting brackets or an optional peripheral platform allow you to save vital counter space. The durable powder coat finish comes in your choice of black, putty, cool white, or storm gray, and holds up against even the roughest treatment. 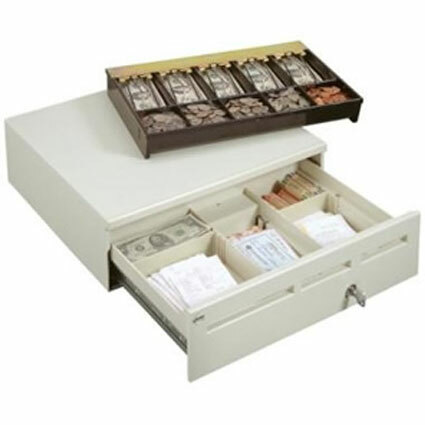 The durable and cavernous design of the MMF MediaPLUS cash drawer means you will have many years of worry free use.